My name is Daniela Bellanca. Since I was a little girl, animals have been my passion, so much so that my father used to call me "little Ligabue" like the troubled artistic genius Antonio Ligabue who "considered animals as companions, understood them and loved them more than the humans. He wanted to look like animals rather than humans." There are no stories of my childhood that don’t include nature and animals, with which I have always had a strong bond. Cats have always been my first love. They are great companions. Sinuous, elegant, magnetic, independent and capable of deep love. You don’t own a cat, it chooses you and if it gives you its heart it will be forever. 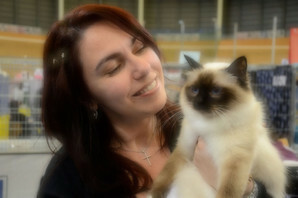 My passion for the Sacred Birman cat began years ago, when I fell madly in love with a picture of a beautiful seal point birman I saw on the web. After researching the origins, standard, colour and characteristics of this beautiful cat, I decided to buy one. More precisely I bought a kitten, Rosi Maila, a sweet, tender little girl who took my breath away with her beauty and her well balanced character, calm and great adaptability. My family shares this love for animals, and we actively participate in all activities relating to them. 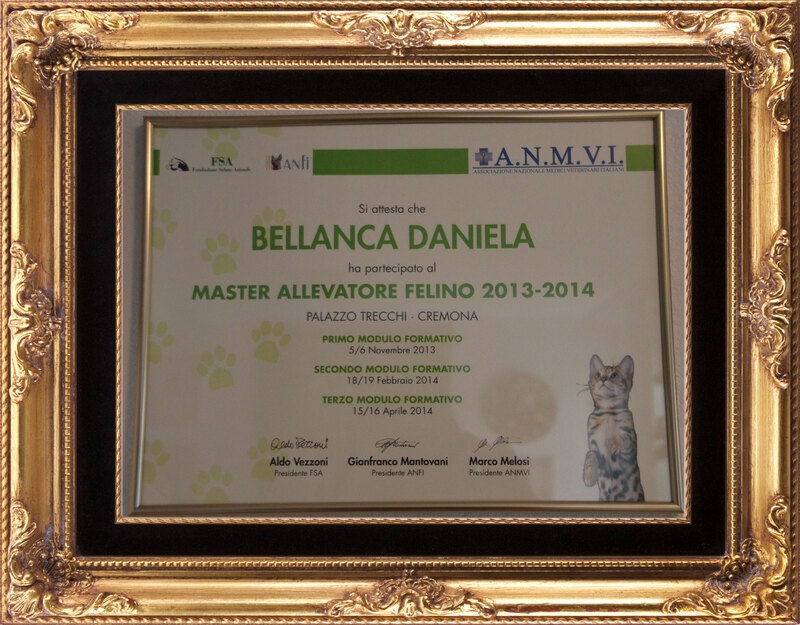 I attend courses, seminars and training workshops related to breeding, genetics and ethology (both canine than feline) because I believe in continuous education. Knowledge allows us to act, to always improve and makes us free to be able to handle difficulties and the relationship with and amongst our animal friends. On April 10, 2011 I was awarded the Diploma of Zoo Anthropology Operator by the SIUA (School of Human-Animal Interaction) in Bologna of which I am very proud (the course was conducted by Professor Roberto Marchesini). "In our society, the pet has an increasingly important role in the emotional sphere, partially replacing the lack of both simple and profound interpersonal relationships. For the lonely and those getting older, it becomes a strong reason to keep the rhythm of the day going, to go out, to occupy the mind and to feel useful and safe. For children, the contact with an animal which they need to take care of is positive for their development: the responsibility they must assume, to be mature for their age, having to think about something other than themselves, having to respect the time and place beyond their own will, are elements that have a positive effect on growth and socialization. I would like to reaffirm however, that animals should not only be seen only as being useful to us. They are not at our service. They have feelings, emotions and needs of their own that should be acknowledged and respected. Because of their infinite ability to "give themselves" to us, it is up to us to understand the extent to which we can accept this gift without exaggerating and to leave them the dignity they deserve. The sharing experience with an animal is truly the most intimate way to get closer to nature and the love that you feel should be the force driving you to learn to respect, love and consider the animal precious."